FEATURE — There are many towns throughout the state and country that are a shell of their former selves, missing many pieces of their earlier history. On the other hand, thankfully, there are towns like Leeds, which refuses to let its history die and has set up reminders of the town’s legacy all along its Main Street and elsewhere. Driving Leeds’ Main Street, one could argue that they’re doing a pretty good job. The somewhat nomadic Paiutes could be considered Leeds’ first residents, traveling along routes where water was available. The same routes were later used by fur trappers and explorers. 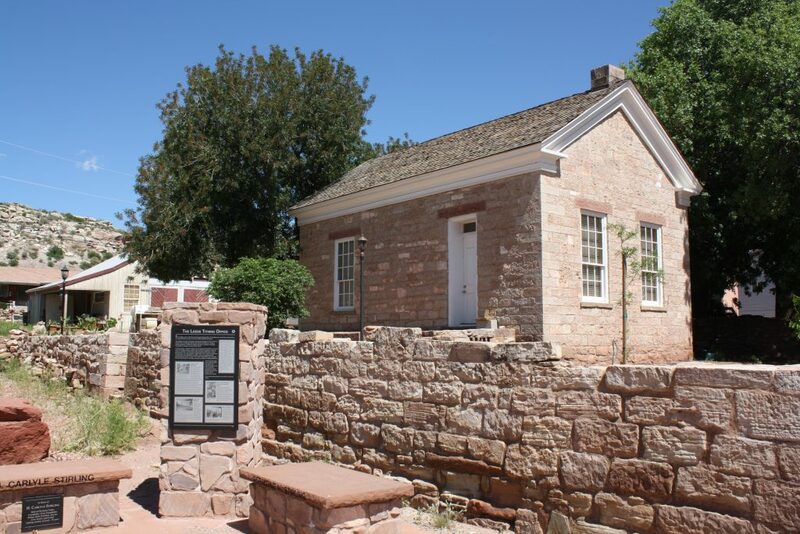 In the 1860s, when pioneers first started to settle the southwestern corner of Utah, Leeds was known as Road Valley as the road connecting Salt Lake and St. George and other southern Utah settlements passed through it and became its Main Street. 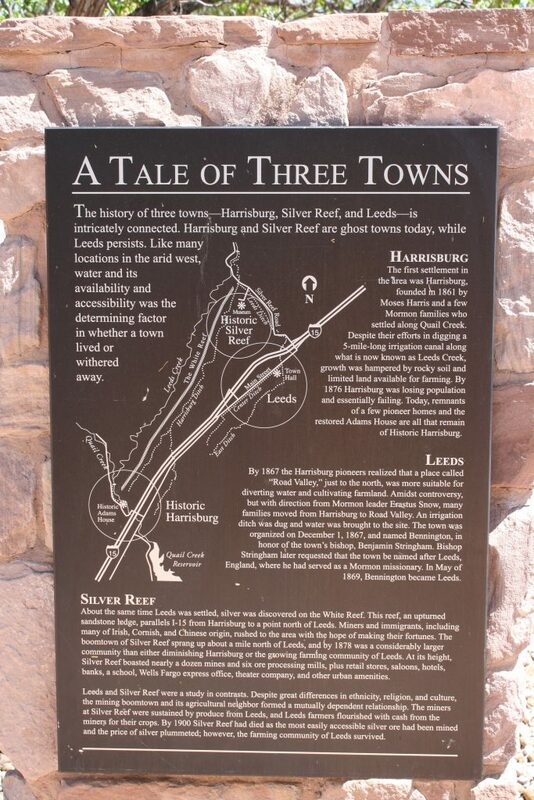 Many of the town’s earliest settlers came from nearby Harrisburg, now a ghost town, realizing that Leeds was more suitable for diverting water and cultivating more acreage. The town was first known as Bennington, after the town’s first bishop, Benjamin Stringham. He didn’t like the town named after him and suggested it be called Leeds in honor of Leeds, England, where he served his mission, so on May 1869, Bennington became Leeds and has been known by that name ever since. Agriculture was the town’s main industry, aided by its long growing season. It had the good fortune of being close to the mining boomtown of Silver Reef, which provided a ready market for its produce, often paid for in nearly-scarce hard currency. As a result, residences, a church, a mercantile, a dance hall, a boarding house and other businesses sprang up along the main road. While Silver Reef was in its prime, the Leeds economy was strong, but when mining ceased, farmers had to peddle their produce elsewhere — at local and regional markets. Go-to crops included alfalfa, apricots, beet seed, cane, cantaloupe, cherries, onions, radishes, strawberries, tomatoes and, most notably, peaches. Harvest time was busy for the whole town with most residents helping out. Some of the major peach farming families were the Eastmans, Fullers, Jolleys, McMullins, Reeds, Savages, Stirlings and Sullivans. 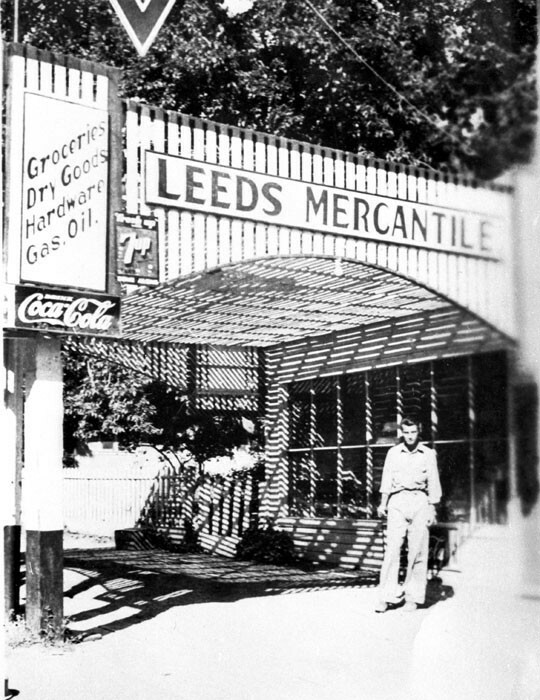 When Leeds Main Street was part of Highway 91, Leeds farmers sold their produce in roadside stands, especially in the 1940s and 1950s. The street’s large trees provided shade, and the town’s children and older residents often operated the stands for the busy farmers. During this same time period, when peach farming was booming, Leeds peaches found their way all over the country via the railhead in nearby Cedar City. Martha Ham, who wrote the text of the town’s historical plaques, detailed the story of local residents who packed the bushel baskets who were curious as to what prices the peaches were ultimately going for, so they began writing notes to the people who bought the peaches at the bottom of the baskets, asking them to write them back and tell them what they paid for the peaches. They received replies from as far away as Michigan and Texas, which included the price but also compliments about how good the peaches tasted. Shipping produce also had its challenges, however. For instance, lifelong Leeds resident Susan Savage noted there were a few times those entrusted to ship farmers’ goods to outside markets stole the hauls and the farmers never saw any money from their hard work. In the late 1930s, a broom factory, operated by the Leeds Broom Cooperative Association, ran successfully, supplying brooms to 110 stores until the outbreak of World War II. During the war, it was difficult to obtain adequate supplies for making the brooms, so the factory closed. Like other towns in Southern Utah, Leeds residents engaged in labor-intensive sorghum farming from the early 20th century to the early 1980s. The juice from sorghum, a type of sugar cane, was squeezed from the cane and boiled to produce a sweet syrup. Wilma Cox Beal, who wrote a history of Leeds titled “Leeds: Historical Events in Bits and Pieces,” detailed the amount of work in her book, saying it took about 10 gallons of raw cane juice to make one gallon of cooked sorghum. One of Leeds’s most prominent early residents, whose imprint is still in the town, was William Stirling, a farmer and winemaker who was also the Leeds Water Company’s chief executive officer. Ham tells the story that on a cold winter day in the mid-1870s, while riding his horse through Silver Reef, he noticed that the Christy Mill, a silver ore processing mill, was overheating due to its water supply being frozen solid. He knew that if the mill didn’t get the necessary water, an explosion could result. Acting quickly, he opened the head gates that conveyed water from the Leeds ditch system to cool the overheating mill and stave off potential disaster. As a demonstration of their gratitude, the Christy Mill owners put Stirling on their payroll for a year with no expectation that he would actually work. Stirling used the handsome salary he received to build a two-story home for his family at a cost of about $5,000. The home is a great example of what came to be known as “Dixie Dormer” — upper floor windows that were a popular architectural design of the day. Stirling realized that, after Silver Reef declined, its buildings could be purchased and moved for use in Leeds. He did just that with the vacant St. John’s Catholic Church, converting it into the Leeds Social Hall, or “Old Stirling Hall” as it was known. Lifelong resident Ray Beal, Wilma Cox Beal’s son, said that professional theater groups would perform in this building on “stop-overs” through Leeds. Many of their performances sold out, he noted. 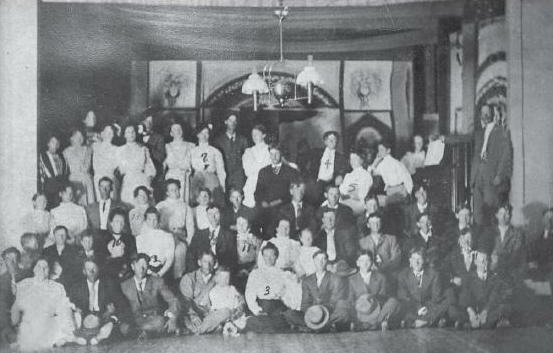 The building played host to dances, plays and variety shows, attracting participants from a wide area. Unfortunately, the building no longer stands today, but Stirling’s home does and is still owned by his descendants. 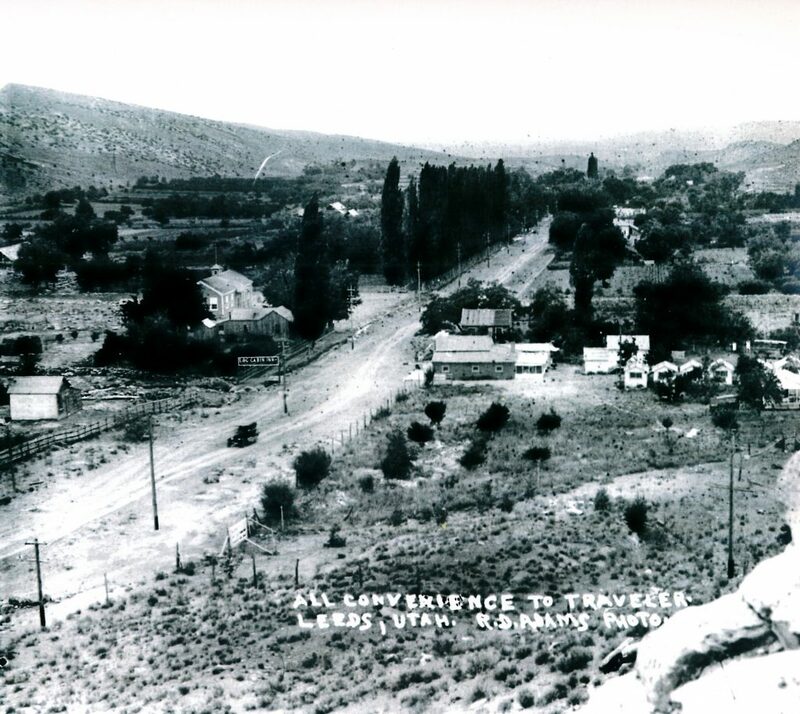 In the early 20th century, with the introduction of the automobile, Leeds Main Street became part of the Arrowhead Trail, the main road between Los Angeles and Salt Lake. Eventually it became known as U.S. Highway 91, and in 1931 the stretch of road from Harrisburg to Toquerville Junction was the last portion of the route to be paved. When Highway 91 ran through Leeds, the town’s small Main Street businesses did well, but in 1964, when Interstate 15 bypassed the town, it caused the same effect of those cut off from Route 66 — businesses suffered. From 1933-1942, Leeds was home to a Civilian Conservation Corps camp. At first reluctant to have outsiders in their town, residents soon realized that having these young men around proved helpful to the economy. The Leeds camp is the only CCC camp with structures still standing in the state of Utah. 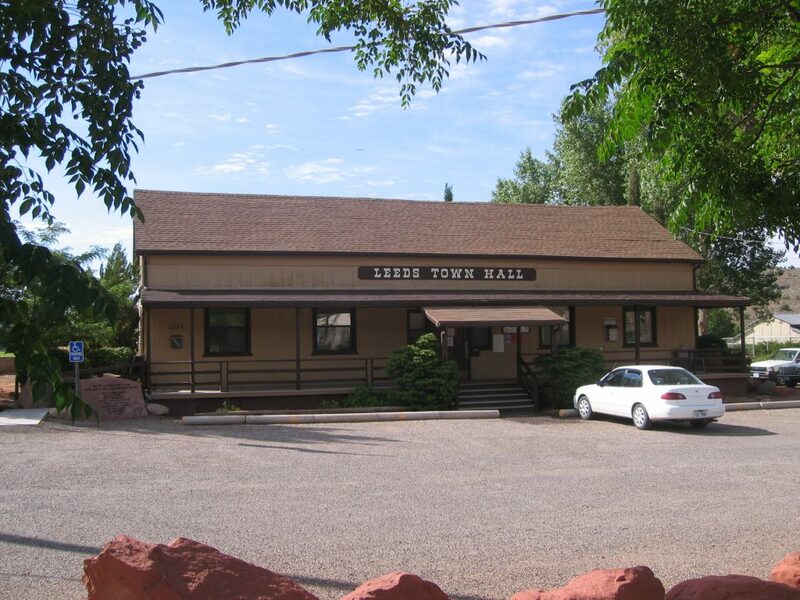 As with most Southern Utah towns, water has been a major issue throughout Leeds’ history. Early pioneers labored vigorously to harness the creeks flowing down from the Pine Valley Mountains to divert them onto their farmland through a network of ditches dug by hand with picks and shovels as well as plow-pulling horses in sometimes rocky terrain. The main ditch led the water to the northeastern edge of town, where it was later conveyed both to town lots and nearby farmland. “Prized lots in Leeds were those that fronted the ditch, especially lots that were closest to the beginning of the ditch, where pollutants from upstream use of the water were fewer,” Ham wrote. Much like the Hurricane Canal Company, Leeds organized its own water company in the late 19th century to secure and organize local water rights, a sometimes controversial and difficult task in the arid Southern Utah climate. With the town’s culinary water being piped from the open Leeds Ditch, in 1956, the Leeds Domestic Water Users Association made the bold move to borrow $50,000 to built a 9-mile pipeline to bring drinking water from a spring at the base of the Pine Valley Mountains to the town. Laying the pipeline proved successful and by January 1956 Leeds finally had clean drinking water delivered. The town’s irrigation ditches lasted into the 21st century. Until 1957, when they were lined with concrete, the ditches were dirt. While the ditch was a favorite play area for children in the summer, it was also a place of tragedy as two young children drowned in it over the years. It wasn’t until 2006 that the open ditches were replaced by underground pipes and pressurized irrigation to make water management safer and more efficient. “Water’s never been a dull subject in this town,” Beal quipped. Savage said water “is the story of Leeds” and the reason the town is located where it is. In the vain of Stirling’s realization, Savage called Leeds a “big recycling project” because several of its historic buildings originated in Silver Reef and were moved a few miles to Leeds. In addition to moving complete buildings to Leeds, Savage said that a lot of the metal from the five former Silver Reef mills was recycled during World War II scrap drives, largely due to their proximity to a major thoroughfare. One is more likely to see metal remnants of other former mining boomtowns because of their isolation. 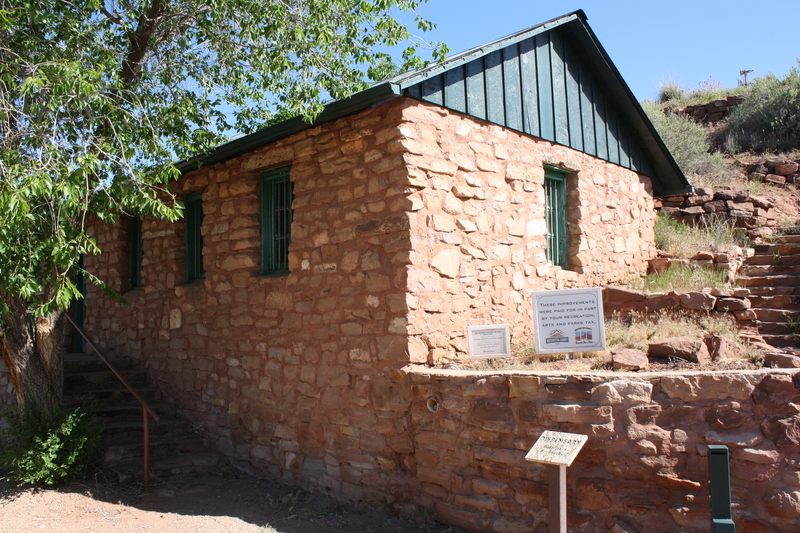 Stones from Silver Reef buildings were also used in the construction of the CCC camp. Today, nothing is left of the mills but their foundations, Beal noted. For a time, it had one of only two phones in the town and as such, Kate often found herself delivering personal and sometimes grave messages, especially in World War II when she notified some families of their sons’ deaths. The Allens sold the store in 1964, just as I-15 was completed. Lance and Pamela Fry restored the building in 2008. Built between 1891-92, the building is a relic of a time when members of The Church of Jesus Christ of Latter-day Saints paid their tithing, which equated to 10 percent of a family’s income, through in-kind goods instead of hard currency. As such, the office collected all kinds of goods, including apricots, corn, peaches, figs, bottled meat and others. The office was equipped with bins and barrels for storage as well as a set of scales for weighing produce. The office lived a short life as the church discontinued the in-kind tithing system in the early 20th century. Later on, the building served as a residence, including to the family of Patricia Hadley, who lived there when her father was a teacher at the Leeds Civilian Conservation Corps Camp. Even though her family lived there briefly, she said the memory of the place never left her and a few years ago she and her husband, Kenneth, bought the building and restored it with the help of some historic preservation grants. It is now their part-time home. 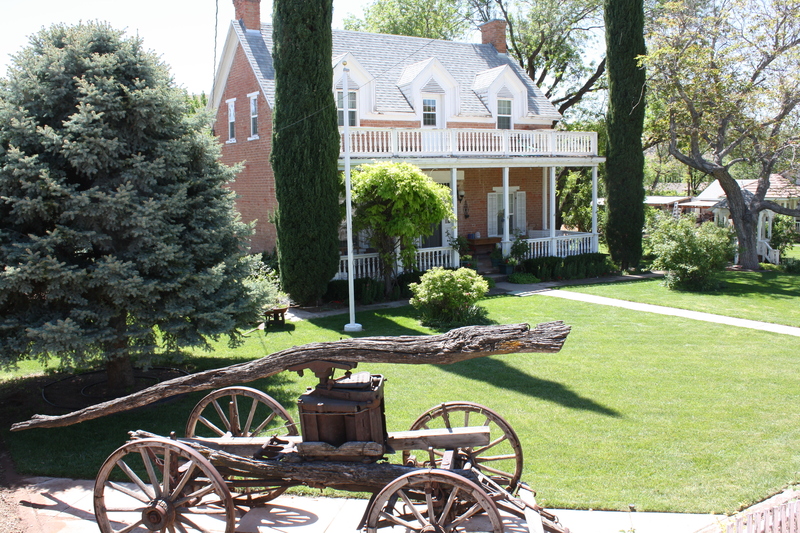 Built from 1878-1881 by Willard G. McMullin and Sons, skilled local stonemasons of the day, the original inhabitants were Brigham Young McMullin and his wife Ada. 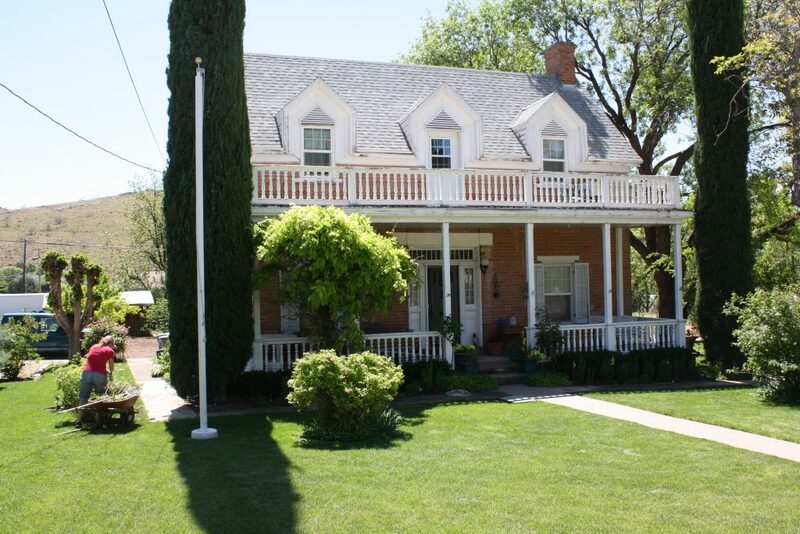 The home boasts 18-inch thick walls and 9-foot ceilings and served as the “Mormon Hotel,” as many church leaders visiting from Salt Lake City would stay there. It is one of the oldest homes still standing in Leeds. Leeds Town Hall is a historic building itself. 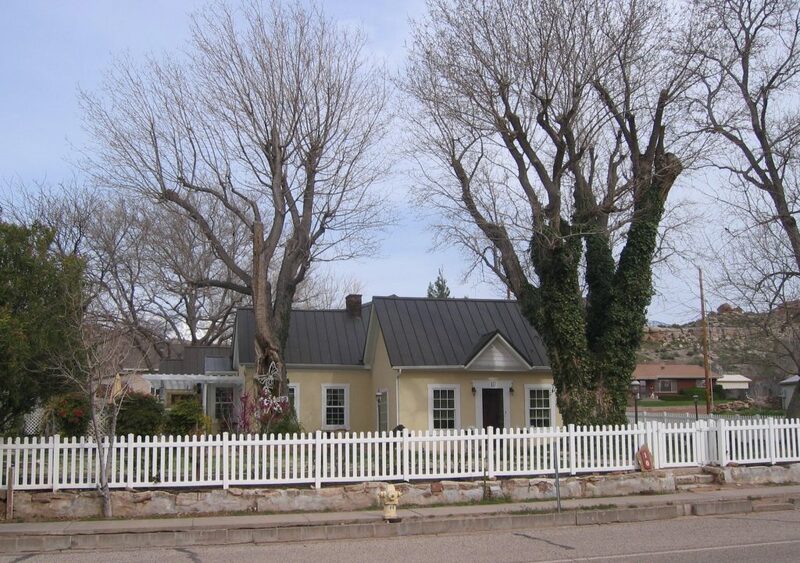 It was originally built in 1880 as a schoolhouse for Silver Reef, as well as a place for dances and other gatherings. After Silver Reef went bust, the building was no longer in use by the early 20th century. Leeds decided to utilize the building as its schoolhouse so it split it in half, put it on logs pulled by horses and moved it about two miles to its current location along Leeds Main Street. Leeds used its two rooms as a schoolhouse teaching eight grades until 1956. The Church of Jesus Christ of Latter-day Saints leased it after that as a recreation hall and eventually it was remodeled and turned into the town hall and community center. Today, it is evident the residents of Leeds care about their history with the historical preservation that has gone on recently and the plaques around town reminding residents and visitors of the town’s history, a result of a major effort in 2009 funded by grants but, in a way, started in the late 1980s when the Town Council passed a historic preservation ordinance. Not surprisingly, the stone monuments with those plaques as well as stone benches along Main Street are part of the town’s early history. 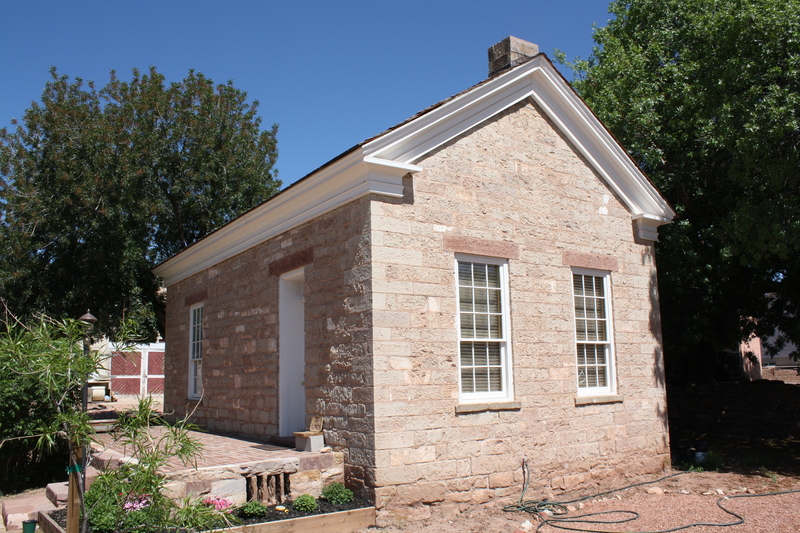 They are built from stones from a home built by Alma Angell in 1868 and torn down in 2005. 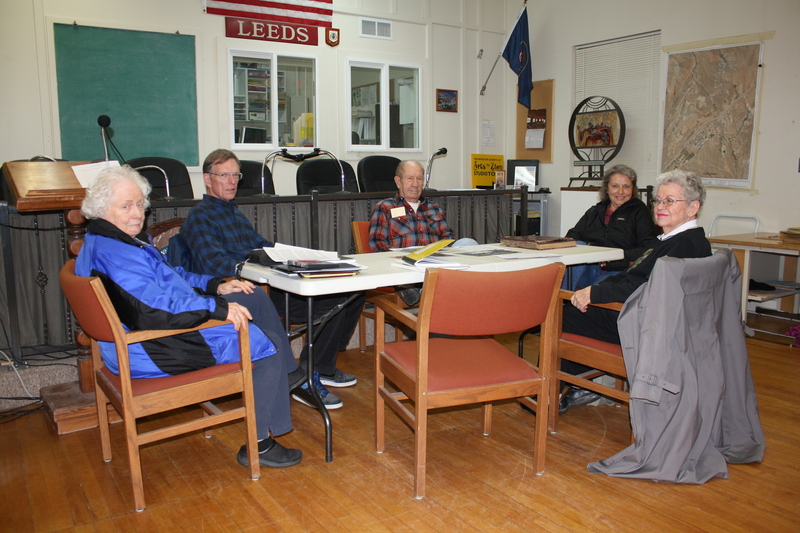 And, just as history has been preserved, there are still families of Leeds pioneer stock in town, LoAnne Barnes, chair of the town’s Historic Preservation Committee, said. There are also families who have no ties to Leeds who are keenly interested in its history and how to preserve it, like Barnes, who’s from the Seattle area, and Mayor Wayne Peterson, who hails from New York. They both fell in love with the area during their travels and decided to make it their permanent home. Peterson marvels at how friendly his fellow townspeople are. He said one time his son was visiting and asked his dad what residents were after from him because they are so kind. Peterson assured his son that they aren’t after anything. That’s just who they are. Leeds is located 16 miles northeast of St. George on I-15. For a historical tour of Leeds, drive up its Main Street and stop and read its historical plaques, which interpret the town’s history on the specific location they are placed, such as the CCC Camp, Stirling Home, Tithing Office and Town Hall. 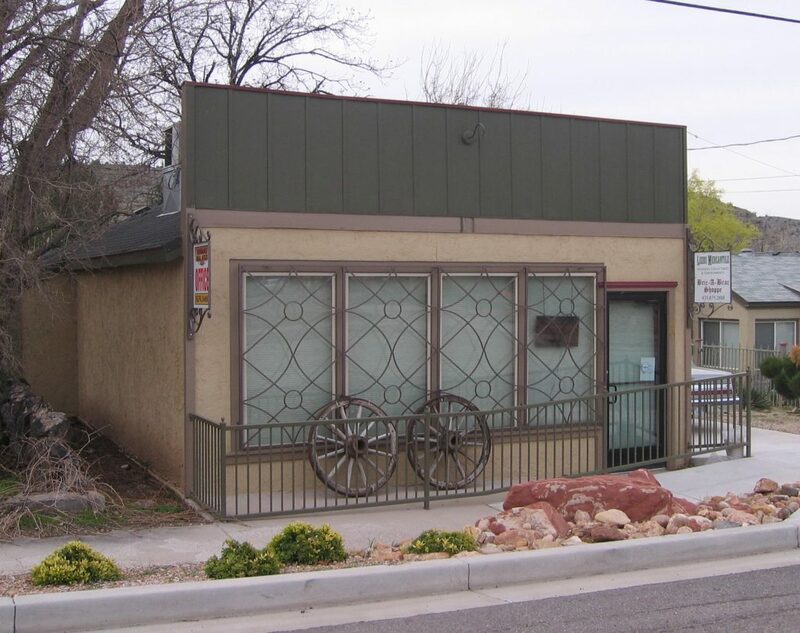 A Leeds history tour should end at the Silver Reef Museum, housed in an old Wells Fargo Express Office. 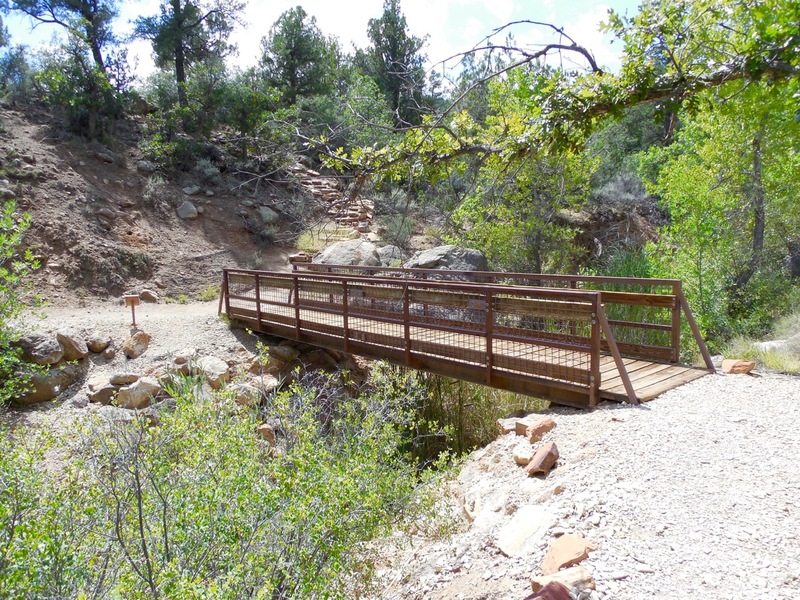 The history of Leeds and Silver Reef are inextricably linked, and one could argue that Silver Reef history is Leeds history, because Silver Reef is now within the Leeds town limits.